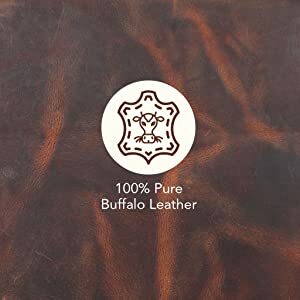 •✅ PREMIUM GENUINE LEATHER: This Rustic Town Portfolio is Handcrafted with 100% Genuine Buffulo Leather to give positive impression at all the important places. 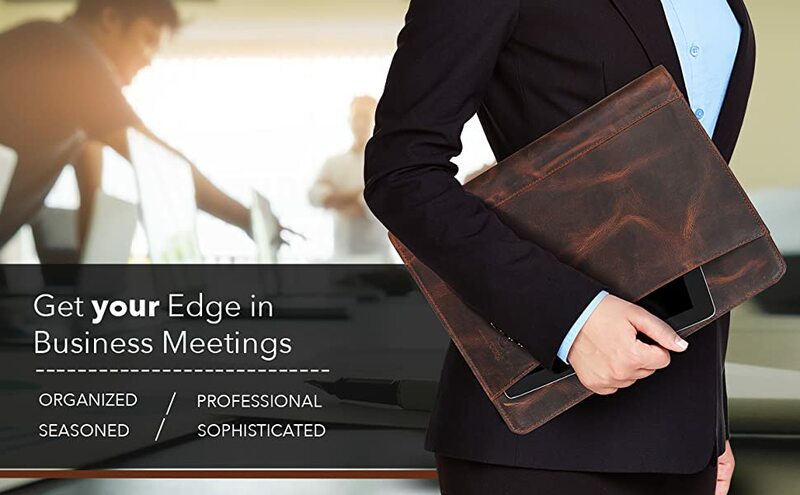 Its padded cover adds extra edge to the professional appeal. 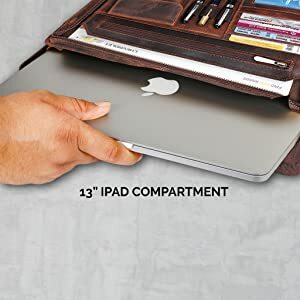 •✅ UNIVERSAL MACBOOK SLEEVE: Keeping up with the evolving needs of professionals like you, we have also included universal Macbook Sleeve which has a capacity to hold upto 13 inch Screen Laptop/ tablets /iPad safe secure and handy. 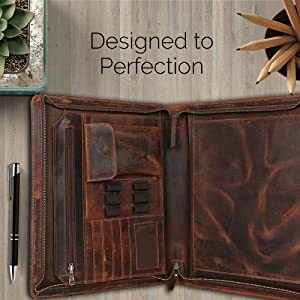 •✅ DURABLE CONSTRUCTION AND EASY MAINTENANCE: It is equipped with thick hardbound cover and strong stitching with best quality material to ensure duribility of your leather portfolio. When it gets dirt or stain, wipe it with wet cloth or tissue simply. It looks new again. •✅ PERFECT BUSINESS GIFT: Looking for a gift for a work colleague, business client, or a recent college graduate? Look no further. College graduation seeking out their first job? Looking to up your Wall Street game? This is the best gift for men & women! Oil rubbed and distressed. It is Tan in color. This business portfolio is big enough to safely stow and organize your essentials yet is compact, stylish & travel-friendly. We know you value all the stuff that’s why, we’ve taken extra care to make this strong and durable. 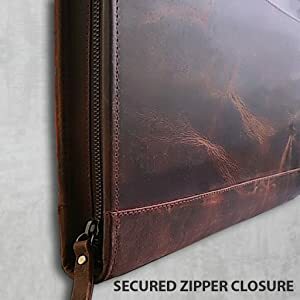 We understand security of your digital and paper contents is important to you and this portfolio is secured with a wrap-around high duty zip. 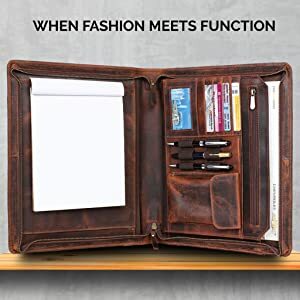 There is additional inner zippered pocket to keep Tickets, Invitations, Passport, Cheque, IDs or anything important separately.